Isn’t that lovely? Maybe I’m cheating, but I guess I’m saying that libraries house books, and books are transporters to other worlds, as well as into yourself. The idyll of my childhood, as you may remember, is the Cerritos Public Library (see my first post). And that’s why I work really hard to make Bibliopolis a magical place, dare I say a happy place, for the kids and teens (and the adults looking in longingly, as evidenced by the fresh nose prints I see on the door window every day) at Gracepoint Berkeley church. 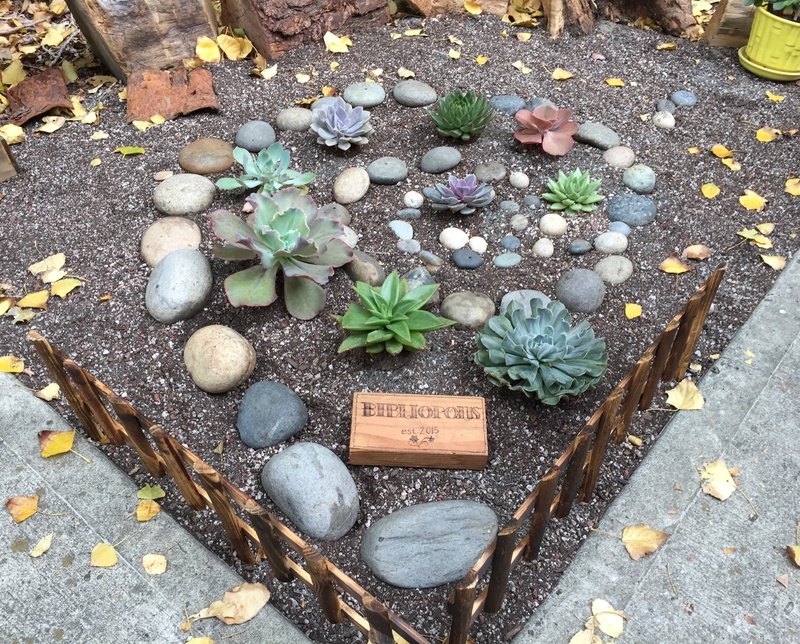 Rather than show you a picture of books, I think the latest addition to the Bibliopolis patio-succulent-rock-garden created by some of the kids (and mom) captures some of the love all of the kiddos feel towards our library! This entry was posted in Bibliopolis and tagged dailypost, happy place, library, rock garden by hemilykim. Bookmark the permalink. Auntie Ahmi gladly relinquishes the title to Auntie Jenny and her beautiful garden! So pretty!! good work, 3rd grade girls! !